For his portrayal as Joey Donner in the television show "10 Things I Hate About You"
Christopher Michael Settlemire famed as Chris Zylka is a well-known professional actor as well as a model. He started his career with a guest appearance on 90210 in the year 2008. He was ranked #90 on BuddyTV list of "TV's Sexiest Men of 2011". He is nicknamed as Chris. 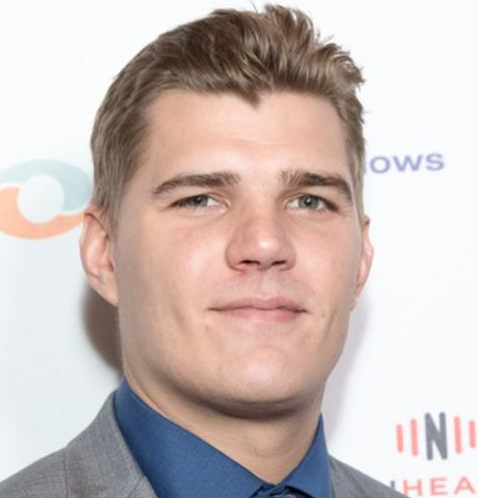 Chris Zylka was born on 9th May 1985 with the birth name of Christopher Michael Settlemire in Warren, Ohio, the U.S. As of 2018, he is 33. He was born to Michael Zylka and Anastasia Kozarewski, his parents. He is of part Ukrainian descent. His nationality is American. His horoscope sign is Taurus. His ethnicity is White and his religion is Christian. Regarding his education, he attended Howland High School in the year 2003 and later he attended the University of Toledo. Chris has got a very hot and attractive body personality. He has a tall height of 1.85 m or 6 feet 1 inch. He has a very balanced weight also and he maintains his body a lot. His weight is 80 Kg or 176 lbs. His chest size is 43 in, waist size is 32 in and bicep size is 16 inches. His eye color is Blonde and hair color is Light Golden Brown. Chris started his career with a guest appearance on 90210 in the year 2008. Later, he cast in "Everybody Hates Chris", an American sitcom. Previously, he appeared as a guest on the shows in Hannah Montana, Cougar Town and Zeke and Luther. After that, he landed a sixteen-episode recurring role as Joey Donner in 10 Things I Hate About You. He then began to move his journey into the field of movies. He appeared in The People I've Slept With before starring in the horror television film My Super Psycho Sweet 16. He later reprises this role in the sequel, My Super Psycho Sweet 16: Part 2. He also appeared in the year Kaboom in 2010. He also starred in two animal-attack-themed films, Shark Night (2011) and Piranha 3DD (2012). He portrayed Flash Thompson in The Amazing Spider-Man and also played the role of Jake in the television drama The Secret Circle. BuddyTV ranked him number ninety on its list of "TV's Sexiest Men of 2011". Chris is not married yet and he is still to get married. Previously, he was engaged to heiress and TV personality Paris Hilton in January 2018. The couple was enjoying their life but suddenly the couple called off the engagement in November 2018. She explained that she needs to focus on her business and said she "wished" Zylka the best. Before Paris Hilton, he was engaged to DVF brand ambassador Hanna Beth Merjos in April 2014 but the couple also called off the engagement and broke up in early 2015. The famous actor, as well as model, has collected a huge amount of net worth from his work. He has a net worth of $1 Million as of 2018. He is making a good amount of money from his work. His salary has not been revealed yet and will be updated very soon but there is no doubt in the mind of his follower that he is earning a considerable amount of salary from his work. For his portrayal as Joey Donner in the television show "10 Things I Hate About You". Paris Hilton ends engagement to fiance Chris Zylka. Paris Speaks on Split. Paris addressed her split with Chris on social media, posting a photo of herself dressed as Marilyn Monroe and adding her favorite quote from the starlet that reads "I believe that everything happens for a reason. People change so that you can learn to let go. Things go wrong so that you appreciate them when they're right. You believe lies so you eventually learn to trust no one but yourself. And sometimes good things fall apart so better things can fall together". Previously, she was rocking that $2 million engagement ring. Paris Hilton has yet to return the very expensive ring Chris Zylka gave her when he got on bended knee earlier this year, but it may just be a matter of time before she has to fork it over.